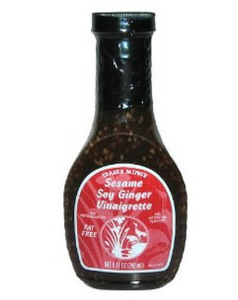 Trader Ming’s (from Trader Joes) Sesame Soy Ginger Vinaigrette is excellent on salads and for marinating. Fresh Ginger to grate, but recently I have solved this issue with Ginger paste that comes in a convenient tube and my knuckles greatly appreciate it and how wonderful it is not seeing all that blood in ginger any more as well. Trader Ming’s Sesame Soy Ginger Vinaigrette is sold at Trader Joes. 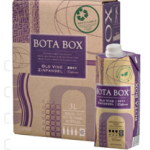 Has no Preservatives, no Artificial flavors and is 100% Fat Free. It does however, have 230 mg of sodium, which is like 10% of the recommended amount of daily salt. An 8 oz (240 ml) bottle is less than 2 bucks, which is less than 1/2 the price of some competing brands such as Newman’s Own Low Fat Sesame Ginger Dressing which normally costs over $5 in most places or 3.38 at Walmart.